In a tragic way, my country couldn’t be more attuned with the current state of world affairs. The recent referendum rejecting a peace deal between the government and FARC rebels left the country in a similar shock to the one felt after Trump’s triumph: “astonished, heartbroken, and having no clue of what will happen next.” Similar to what has happened “in cultured Great Britain with Brexit, in Germany with the chastising of Angela Merkel for saying sensible things about the refugees, in the Arab Spring countries with the majoritarian vote for religious fanaticism, or in the United States, electing Donald Trump.” In other words, “populism has stretched the whole world,” argued Abad Faciolince. But the Colombian tragedy is more convoluted still. Over the last month we have lived a political and moral rollercoaster. First was the joy of having the peace treaty signed, then the perplexity and frustration of the plebiscite result, followed by anxiety about the political limbo it created. Sadness grew when learning that the most war-stuck areas voted for the deal. Inspiration rose from the many massive pro-peace marches led by students, indigenous groups, peasants, victims, and people from across the political spectrum. As if this wasn’t enough emotion for a single week, then came the Nobel Peace Prize, which instead of honoring us as it should have, helped to fuel the increasing polarization, which later in the week transformed into outrage with the revelation that the “No” campaign had used class-based hate messaging and misinformation as a marketing strategy. Why bother expounding arguments against the content of the agreements, when inducing indignation is easier and more effective? The “No” campaign leaders outraged the lower classes by telling them ex-combatants would receive a high stipend (90% of the minimum wage). The pitch to the higher classes, and along the border with Venezuela, was that the agreement would open the door to “Castro-Chavism” by allowing FARC commanders a free pass to parliament. The “No” campaign also said the agreement replicated a gender ideology that was particularly dangerous to the youth. To the broad public, the “No” campaign spread the idea that transitional justice meant total impunity. None of these accusations are accurate, but the fact that so many people believe them is reason enough to believe that the referendum process could have been better. Those of us who voted “Yes” trusted the government negotiators and backed the most successful peace process in Colombian history as something built with intelligence and responsibility, something well beyond party politics. We voted to begin constructing peace as soon as possible. We voted “Yes,” accepting that the way forward is to befriend our enemies. You don’t make peace with your friends, you don’t make peace without making some concessions. But what the unexpected plebiscite results show is that our fiercest adversaries lie within: not in the mountains, dressed in military camo, but everywhere around us: in our families, in our cities, in our firms, in the Churches, in our Congress. Perhaps this convoluted train of political emotions is felt so intensely because most of us have worn, for many years, a shield of numbness. Only a certain degree of voluntary indifference to countless mass killings, kidnappings, landmine mutilations, and bombs, has enabled us to cope with daily life. For years, this shield of numbness prevented Colombians from properly mourning our victims, as Doris Salcedo’s artwork so eloquently shows. Well, we have certainly woken up now, to a puzzling “country where everything is [now] provisional.” Even the text of the peace agreement itself includes this warning: “nothing is agreed until everything is agreed.” A country prone to “legal fetishism,” with admirable laws that inspire constitutional reforms elsewhere. And at the same time, a hyperactive and overexcited country, expert in stimulant drugs: caffeine, cocaine, nicotine, and alcohol. A beautiful, immense, uniquely diverse, and festive country, that is ready to wake up, ready to come of age. The prologue to our current roller-coaster was the televised formal signing of the peace agreement in Cartagena, attended by over 20 heads of state dressed in white, as well as Ban Ki Moon and other world figures, where the uncharismatic President Juan Manuel Santos and the inarticulate FARC commander Timochenko shook hands. Together, they presented Colombia and the world “the best possible agreement. Not perfect, but definitely, the best possible”: the result of four years of very detailed, and in many ways unprecedented, negotiations in Cuba. Santos insisted the burden of building peace should be on every Colombian’s shoulders, so for him, even though some argue no law mandated it (and many international advisors warned against), submitting the agreement to popular vote was fundamental. In the less than two months that separated the signature of the peace deal from the plebiscite, every poll gave “Yes” an overwhelming advantage. We were eager to discuss the news with our 6-year-old child over dinner, explaining that at last people would be able to travel all across the country safely, and that perhaps even new species of animals and plants secluded in the shielded forests would soon be discovered. Peace seemed imminent; he even shared the story to his first-grade classmates. The exit poll results came as a shock to everyone: the government, the FARC; even “No” supporters didn’t expect what happened that Sunday night. Monday morning, October 3, 2016, Colombia woke up to “swallow the frog,” as we say when one is forced to accept an inconvenient fact. The “No” had won by a minuscule margin of less than 60,000 votes, 50.21% against 49.78%, a narrow difference that doesn’t allow for triumphalism of the “No,” nor vanity of the “Yes.” Moreover, only 13 out of 34 million people had voted: absenteeism was an overwhelming 63%. The voting distribution is nothing short of puzzling: people from the war-struck rural areas voted “Yes,” as did the capital, while other urban areas (including the poorest neighborhoods) voted “No.” Even serious analysts, in frustration, suggested the country was beset by magical realism. Immediately, “No” advocates went out of their way to claim their vote was not against peace, but against the excessive concessions made to the guerrillas. But upon closer examination, it became clear that their disagreement was nurtured by something far less substantial: the bitterness of not being included as architects of the deal. “Peace yes, but with me in the photo.” Despite the efforts, the scope the participation in the peace talks cracked, and ultimately backfired. This is also the story of a duel. Not an armed conflict between the state forces and guerrillas, as one would expect, but a war of rhetoric. A battle between two nation-building narratives, between the current President Santos and former President Álvaro Uribe — conceptual leader of the “No” campaign. Santos was Uribe’s Defense Minister, a loyal squire of his ideas, and a fierce military leader that curbed the FARC. But when Santos got elected, he immediately overturned many of Uribe’s directives, and encouraged investigation of his policies and high officials (including two Ministers, half the parliament, and the head of the intelligence agency, among others). Some of Uribe’s family members and former ministers have ended up in jail. Uribe’s government did much good for the country, but perhaps this came at a high price (the execution of innocent people as “guerrillas”, para-militarist politics, illegal persecution of the opposition, among other things). Desire for revenge traverses this story: undeniably, Uribe — an orphan whose father was assassinated by FARC — has an open wound. Santos, on the other hand, belongs to the same entrenched elite that prompted the rise of the guerrilla, but when asked at the beginning of his first term how he would like to be remembered, he answered: “as a traitor to my class.” It is no coincidence that no other attempt to resolve what is today the longest standing conflict in the Western hemisphere (52 years) has gone as far as this one. Peace has come closer under the ruler who tasted the most military success against FARC. Santos’ elite social standing and successful military accomplishments stand up against FARC, ultimately signaling respect for the rival. However, after the plebiscite, Santos and FARC stood together against Uribe. The plebiscite outcome showed Colombia that the rival was not in Cuba but rather it lies closer still. 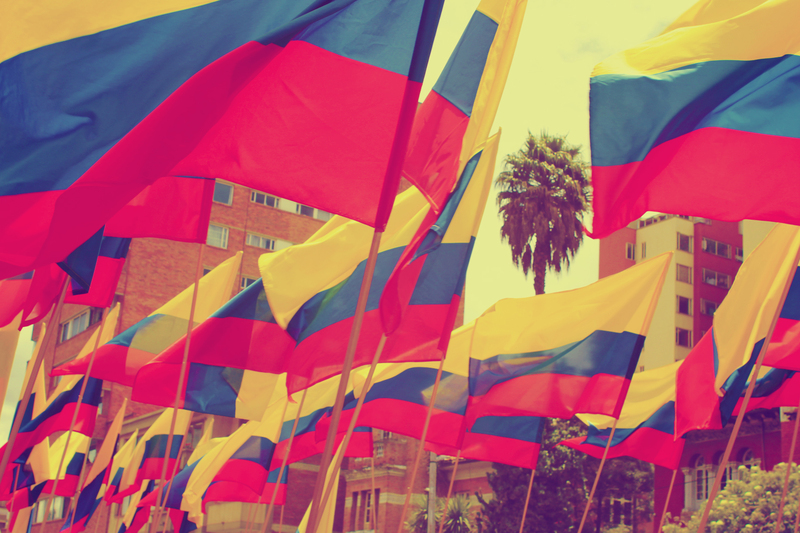 How strange is the word “peace,” to Colombians! We know it is something everyone must work for in the decades to come, that we must allow this desire to lead us away from our roots, that peace is a prize only given to those who forgive. Peace for Colombia will come through duel. The word duel in Spanish (duelo) has three meanings. As in English, it is battle for honor between two parties. But duelo also means mourning the dead at a wake. And closely related to that, duelo is the first person form of the verb to ache: “I ache.” Peace-ing Colombia back together, will necessarily pass through these three types of duel. First, to respect the full stature of our enemies. Second, to patiently mourn our dead. And third, to be okay feeling the pain. 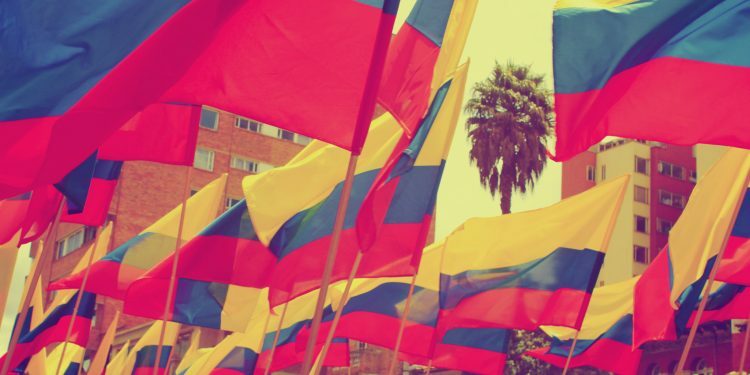 I ache for Colombia, I duel for peace. Ph.D. 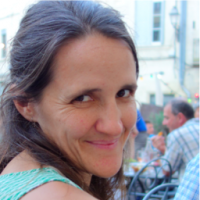 Candidate in Urban and Public Policy at Milano School of International, Affairs, Management, and Urban Policy, a Teaching Fellow for the graduate course “Slums and Urban Development,” and Coordinator of the Observatory on Latin America at The New School for Public Engagement.